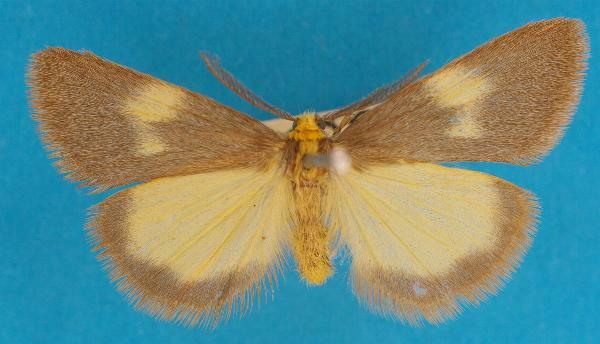 The adult moths of this species have brown forewings with variable yellow spots. The hindwings are yellow with broad brown margins. Volume 1 (1900), pp. 777-778, No. 1001.